Do you think similar taste in music impacts your relationships? I never thought it did, the mere idea was absurd. But more and more recently I am paying attention to the types of music the men I have dated/am interested in enjoy. And let me tell you, there is a remarkable correlation. Perhaps similar taste in music is just another item on a list of things that create a bond, but I feel it is more than that. To give you an example from my life, I prefer music that is more than just noise. If there is screaming or heavy metal clanging with indistinguishable lyrics that are spattered with swear words, I'm not going to enjoy it. I have yet to encounter a man who does enjoy that type of music as their main preference with whom I would be able to develop a steady romantic relationship. Yes, I have tried. I do not believe the types of men who listen to this music make the same choices in life as the types of men, who say, prefer Dean Martin. I did some research and found studies supporting my hypothesis - even a dating website that matches people based on level of passion in music. One study from psychology researcher and author, Geoffrey Miller, states that, "...most of our skills, including skills of musicianship, are meant for survival, with the sole means to reproduce and bear offspring. To be a musician, one must have an inherent sense of creativity, motor skills, language skills and emotional sensitivity to be able to evoke emotional feelings through the creation of musical tones and rhythms...survival is a pure act of sexual selection based on courtship tools: we either have the tools to pass on our genes or we don't. Therefore, skills like musical ability are an attraction mechanism." I'll take this one a step further and state that what we perceive as musical ability is the key to the attraction mechanism here. You find someone singing your same song and you are going to perceive that as musical ability. Charles Darwin, father of evolutionary genetics, believed that having musical ability that could bring people together to socialize was akin to being socially adept - music is another language used to communicate. Author Daniel Levitin wrote a book, This is Your Brain on Music, where he "reported that he used brain imaging to observe what happens in the minds of those listening to music, and found that excited nerves began first firing in the auditory system and then cascaded into the pleasure, reward and expectation centers of the brain. Music can elevate dopamine levels in the brain, similar to the way narcotics and some antidepressants work." I loved the abstract of another study, "Effects of associating with musical genres on heterosexual attraction." Basically, levels of attraction changed, no matter the physical appearance, based on the type of music the subject preferred. But does musical preference really matter in a relationship? Nope. I agree with the VP of Research and Development of eHarmony, J. Galen Buckwalter, Ph.D., "Provided the differences in specific areas of interest are viewed in a broader context that includes personality and values, there should be no problem. Sharing a similar approach to processing new information will likely prove much more important to long-term satisfaction than whether the specific foci of interests are similar." To me, different taste of music isn't going to make it or break it, but I'll certainly keep my eyes (ears) open a little more in the future as my former "subjects" have helped me to realize this may be something more important to me than not. I don't know if I agree with you here. Mr. Wonderful loves his 'angry music'-it's not screamo metal, but it is noticeably angrier than the show tunes and alternative I listen to. Yes, we see eye to eye on some music-like our similar road-trip tastes, but I think it's good to have just enough NOT in common to keep it interesting. I find all this very interesting...and yet, sometimes opposites attract. My husband and I listen to COMPLETELY different types of music. I can only stomach his music in small doses. And he physically cringes when he hears some of mine. I think it's all based on what the relationship's dynamic is. If his music doesn't bother you, then it doesn't. But in my case, it so did! I became less and less attracted to my first husband the more his music taste changed. He went from worshiping acoustic artists like Jewel to kissing the feet of dark creatures like Trent Reznor and TOOL. 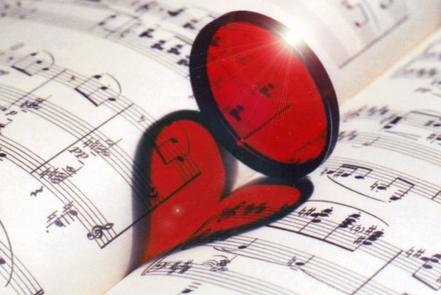 Music for me speaks my soul, so I would read his choice in such as what his soul really wanted. I don't think you have to love the same stuff, but I do think you have to be happy with what your partner listens to. If you see he's happy with music you don't like and it makes you happy, yeah! But if you simply can't tolerate it, then don't, I didn't.